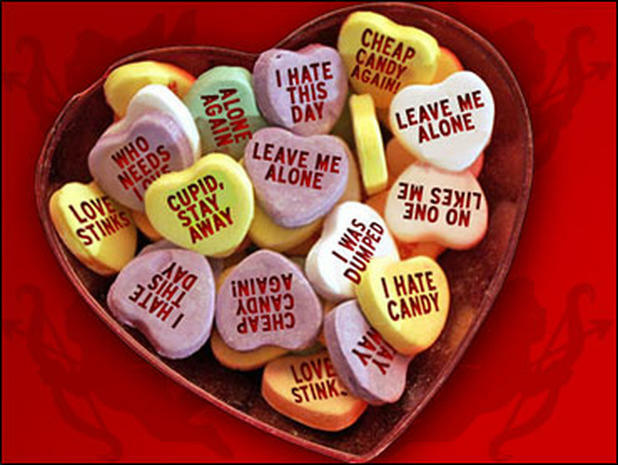 CHARLESTON, S.C. - Are you tired of all the fuss over Valentine's Day? Then seek refuge from the mushiness of Feb. 14 by checking out one (or more!) of our ultra-platonic, anti-Valentine's reads! Unlike love, it's OK to grab a handful of special books, make a whole bunch of promises, and just toss them in the book return of your heart when you're done with them. Whether you just got that break-up text two weeks from Valentine's Day, or you're just not into the holiday, we've put together a list of books to prove your decision to stay single is the right one. Want to make this downloadable? Try OverDrive! Ruby Oliver is 15 and has a shrink. She knows it's unusual, but give her a break--she's had a rough 10 days. In the past 10 days she: lost her boyfriend (#13 on the list), lost her best friend (Kim), lost all her other friends (Nora, Cricket), did something suspicious with a boy (#10), did something advanced with a boy (#15), had an argument with a boy (#14), drank her first beer (someone handed it to her), got caught by her mom (ag! ), had a panic attack (scary), lost a lacrosse game (she's the goalie), failed a math test (she'll make it up), hurt Meghan's feelings (even though they aren't really friends), became a social outcast (no one to sit with at lunch) and had graffiti written about her in the girls' bathroom (who knows what was in the boys'!?!). But don't worry--Ruby lives to tell the tale. On a beach in the Dominican Republic, a doomed relationship flounders. In a New Jersey laundry room, a woman does her lover’s washing and thinks about his wife. In Boston, a man buys his love child, his only son, a first baseball bat and glove. At the heart of these stories is the irrepressible, irresistible Yunior, a young hardhead whose longing for love is equaled only by his recklessness--and by the extraordinary women he loves and loses. Edan Kupferman's life is coming apart: her father is being "sequestered" because the company he works for in Hollywood is in legal trouble, her best friend is in Japan for the summer, and the boy she has a crush on is just plain confusing, so she escapes into the world of comics, and her favorite character, Gargantua--but when Kirk, a boy from her high school, gets her into the sold out ComicCon it starts to look like she might, with a little help, be able to take control of her life after all. Remember the days of wishing you could date the lead singer of a band and they would write a song about you that would end up wildly popular and all over the radio and the top downloads list? Yeah, this book fixes that.